The grapes and the vines give a feeling of Napa Valley, Califorina. Thats what gives the Napa Valley Marble Fireplace its name. 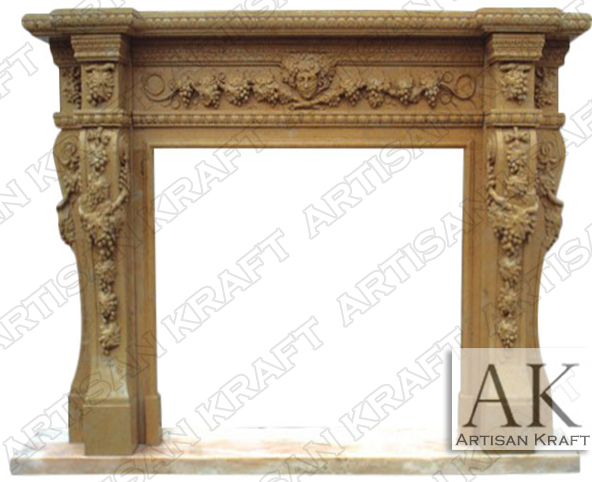 Hand carved vines and grapes of the CA fireplace mantel.